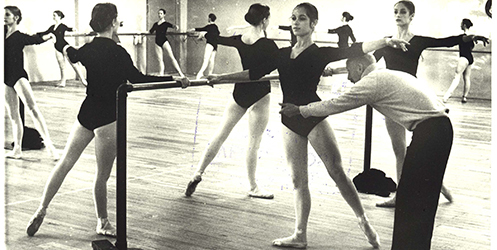 In 1967, the National School of Ballet was established in Wellington by the Queen Elizabeth II Arts Council of New Zealand, primarily to prepare students for potential employment with the Royal New Zealand Ballet. Under the direction of Sara Neil, the School began with nine full-time students and four part time Senior Scholars. The first home of the National School of Ballet was a former cinema, the Empire Theatre on Marion Street. 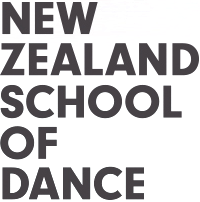 In 1982, the School changed its name to the New Zealand School of Dance, reflecting the expansion of the curriculum to embrace contemporary dance training. Those who graduated at this time soon became the backbone of Limbs Dance Company, New Zealand’s first professional contemporary dance company. Almost all of the directors and staff have been professional dancers, and a number of the faculty have been graduates of the School. Each of the eight directors has left their own indelible imprint on the training programme. Garry Trinder was appointed director of the School in 1998, and the School moved into Te Whaea: National Dance and Drama Centre the same year. The building, shared with Toi Whakaari: NZ Drama School, is one the finest performing arts venues in Australasia, with nine studios, a 180-seat theatre, the Nola Millar performing arts library, classroom, physiotherapy, fitness and Pilates facilities. Shell established a scholarship in 1982, assisting New Zealand School of Dance graduates in their first year of employment with the Royal New Zealand Ballet for fifteen years. The Todd Scholarship was established in 2001 to continue this support. Fay Richwhite provided a scholarship for contemporary students from 1987 – 1989. The School has established a stong international profile, being invited to become a Scholarship provider to the Youth America Grand Prix (New York) in 2004, recognised as a Partner School of the Prix de Lausanne (Switzerland) in 2005, and director Garry Trinder appointed President of the jury for the Asian Grand Prix (Hong Kong) in 2012. Approximately seventy students study full-time, and fifty young dancers participate in aspirational programmes. Over the years, the full-time training programme has evolved into a two-year Certificate in Dance Performance, and a three-year Diploma in Dance Performance. The students choose from the outset to major in classical ballet or contemporary dance, enabling them to work to their strengths whilst maintaining a firm grounding in their minor discipline. Many graduates of the New Zealand School of Dance have gone on to make significant contributions to the dance world both nationally and internationally, dancing with companies such as the Royal New Zealand Ballet, Australian Dance Theatre, The Australian Ballet, Rambert Dance Company, Sydney Dance Company, West Australian Ballet, Footnote Dance, Royal Danish Ballet, Royal Ballet of Flanders, Les Ballets C de la B, Black Grace, Singapore Dance Theatre, The National Ballet of Canada, The New Zealand Dance Company and English National Ballet.